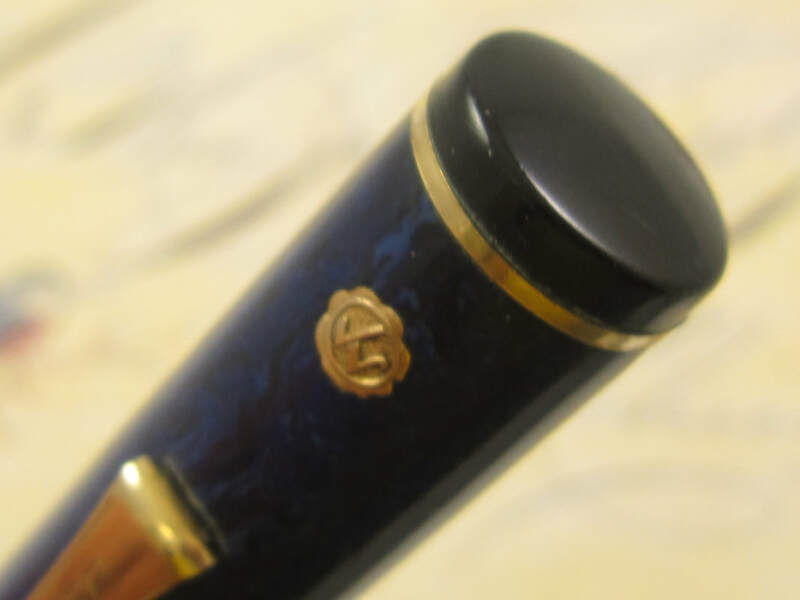 Superflex XXXF-B Nib, "Professional Nib"
COMMENTS: Wahl Eversharp Personal Point Gold Seal fountain pen in "Lapis Lazuli" color, which is a marbled blue celluloid. Gold trim. 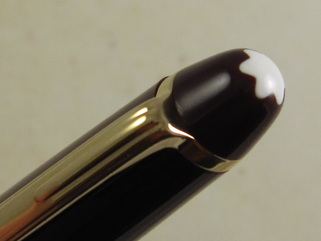 Black ends with slim gold bands, and a double gold band by the cap lip. Rollerball clip. 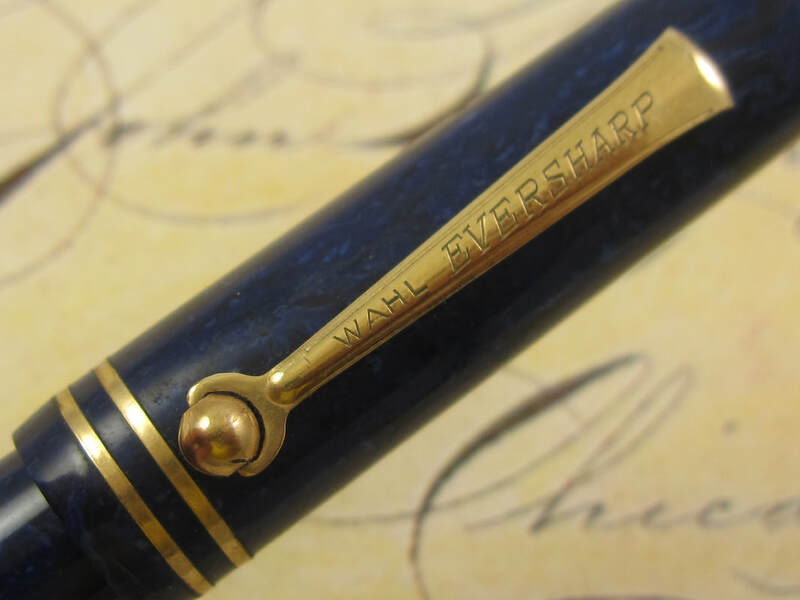 Fitted with a 14K Wahl Eversharp #4 superflex nib that writes a double extra fine to broad line. This is a "Professional Nib", which means it is a hard nib to control, requiring a very light and steady hand. Please do not underestimate the fact this is a very delicate and a very expensive nib. 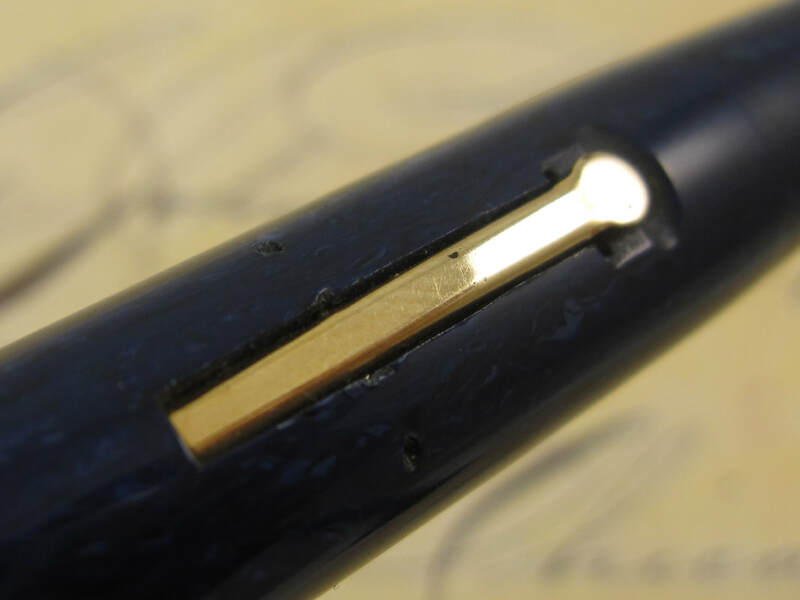 Minor stroke mistakes, excessive pressure or fast strokes can easily and quickly damage this nib. 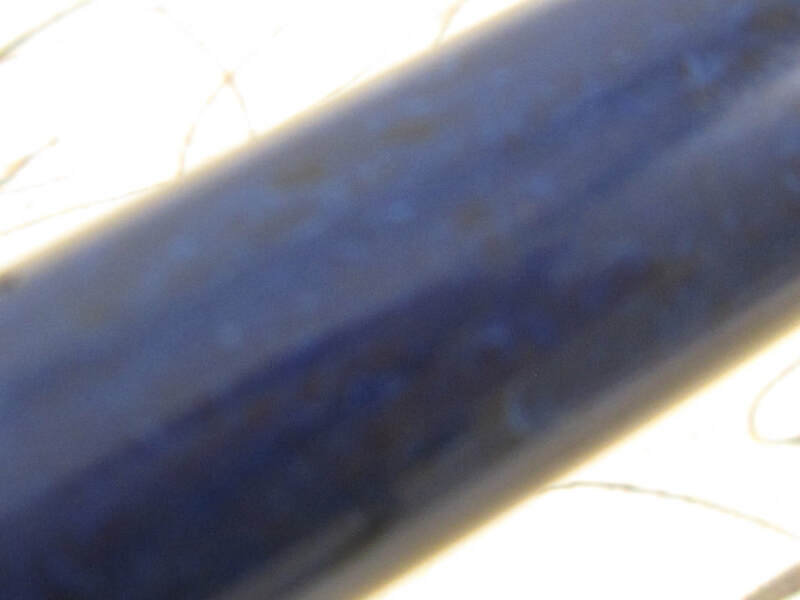 This nib is capable of producing the thinnest lines a fountain pen flex nib can produce and it is ideal for a very experienced Copperplate and Spencerian script calligrapher or professional flex writer. 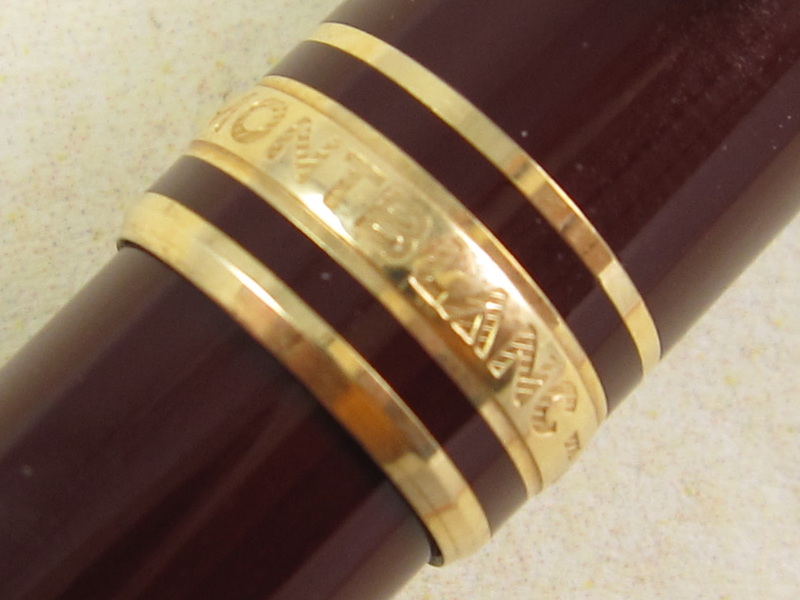 An astonishing celluloid color with even colors in between the cap and barrel, which is not common in this celluloid color. Very minor brassing on the gold trim. Otherwise, the celluloid color, black ends, gold trim and clip imprints are in awesome condition. Lever filler mechanism. New sac. Made in USA circa 1930. 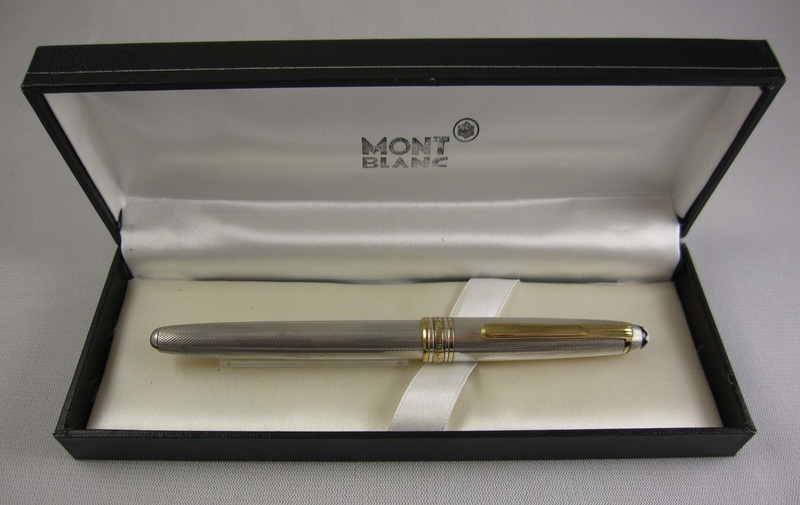 COMMENTS: Montblanc Meisterstuck fountain pen in Sterling Silver with the Barleycorn exterior throughout the pen. Gold trim. 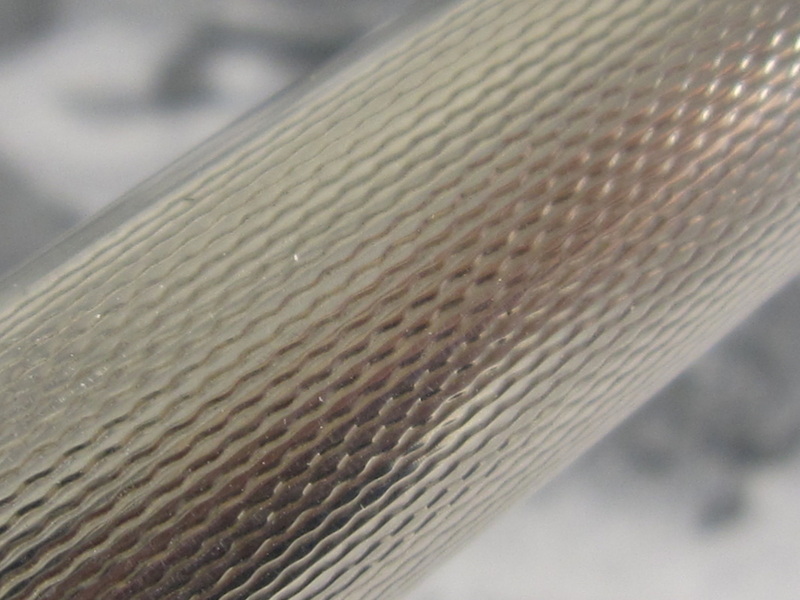 The Barleycorn is one of the most beautiful exterior patterns in the Meisterstuck series of pens. Being made of sterling silver adds more weigh to the pen and it makes it more hefty. 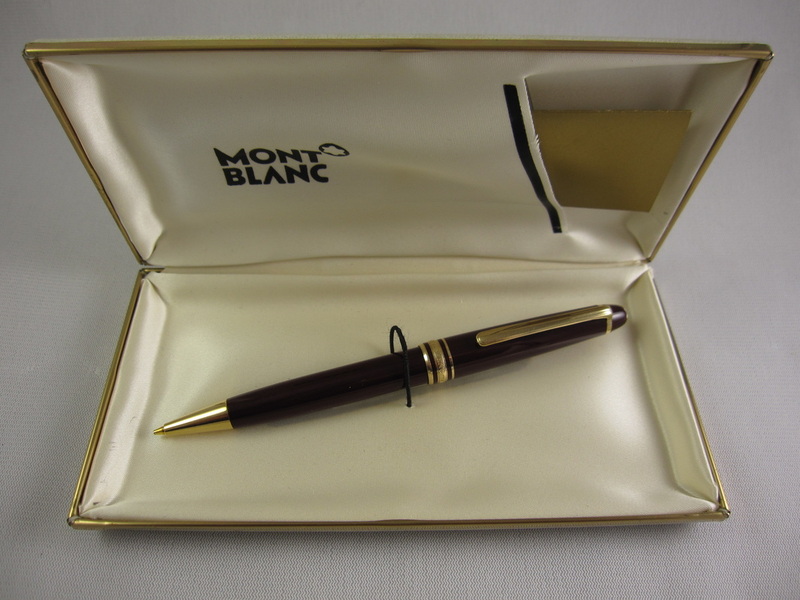 Furthermore, the sterling silver material is not likely to break or crack, as it has been fairly common with some of the modern Montblanc pens made of "precious resin" plastic material. 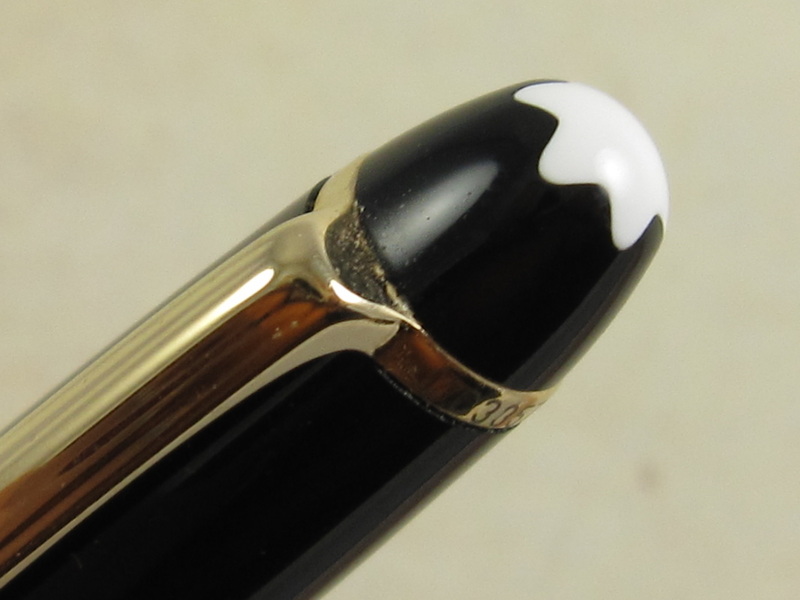 Fitted with a 14k monotone Montblanc 4810 nib that writes an ultra smooth medium line. Cartridge converter. Converter included. If it were not for a couple of tiny spots of brassing in the gripping section ring, this pen would be graded as in near mint condition. Box included. Made in Germany. 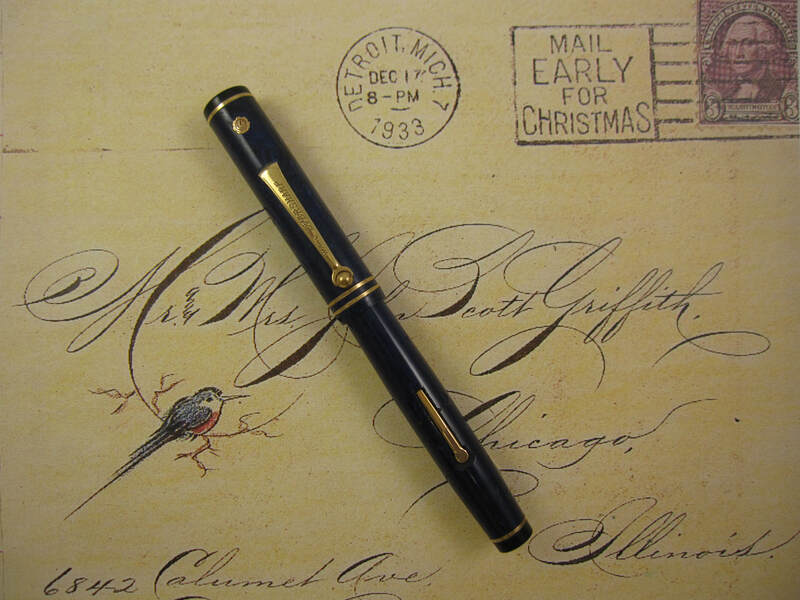 COMMENTS: Montblanc Meisterstuck 163 roller ball pen in black resin and gold plated trim. This roller ball pen has not been used. It is in mint condition and it includes the outer box, inner plastic hard-shell box, and papers. Roller ball refill not included. Made in West Germany circa 1990. Retail price for one of these pens was approx. $465 back when it was made. This color is no longer made by Montblanc. 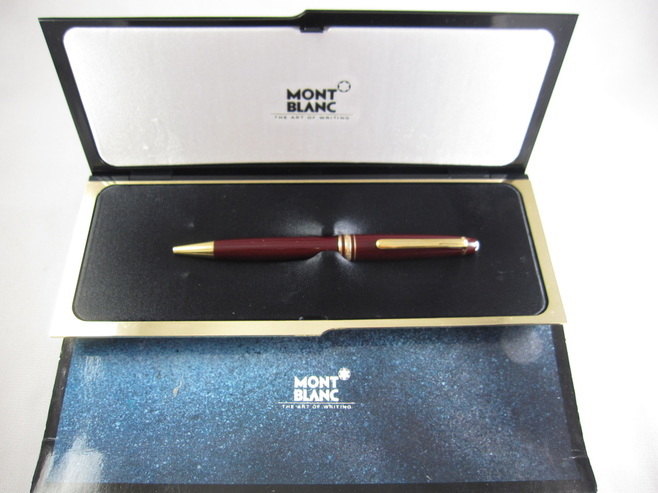 COMMENTS: Montblanc Classic Meisterstuck 163 roller ball pen in burgundy resin and gold plated trim. This roller ball pen has not been used. It is in mint condition and it includes the outer box, inner plastic hard-shell box, and papers. Roller ball refill not included. Made in West Germany circa 1990. Retail price for one of these pens was approx. $465 when it was available. 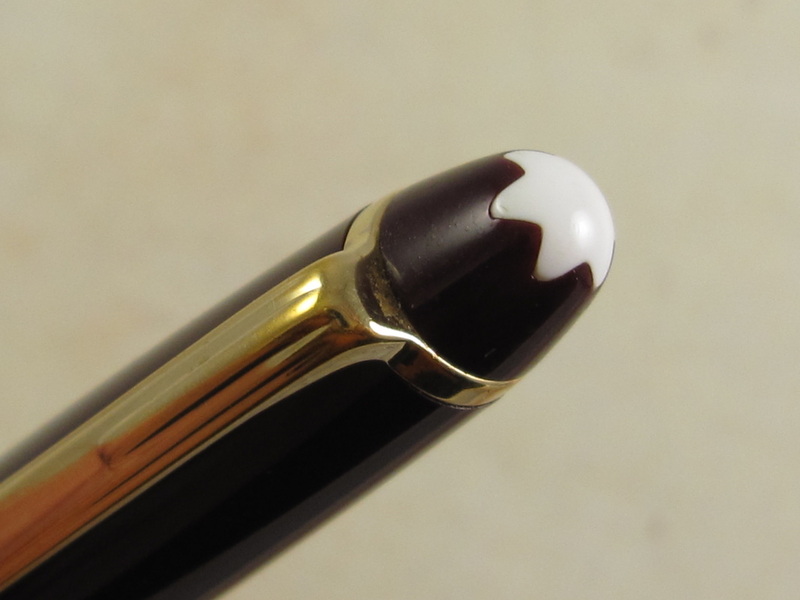 Montblanc no longer makes this color. COMMENTS: Montblanc Meisterstuck 163 mechanical pencil in purple resin and gold plated trim. This mechanical pencil has not been used. It is in mint condition and it includes the cream hard-shell box, and papers. Made in Germany in the 1980s. Retail price for one of these pens was approx. $465 when they were available. 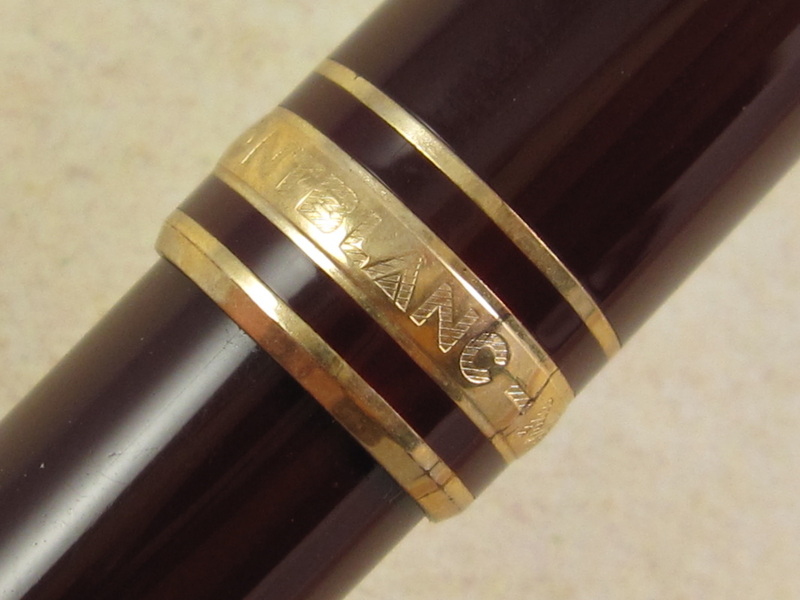 Montblanc no longer manufactures this color. 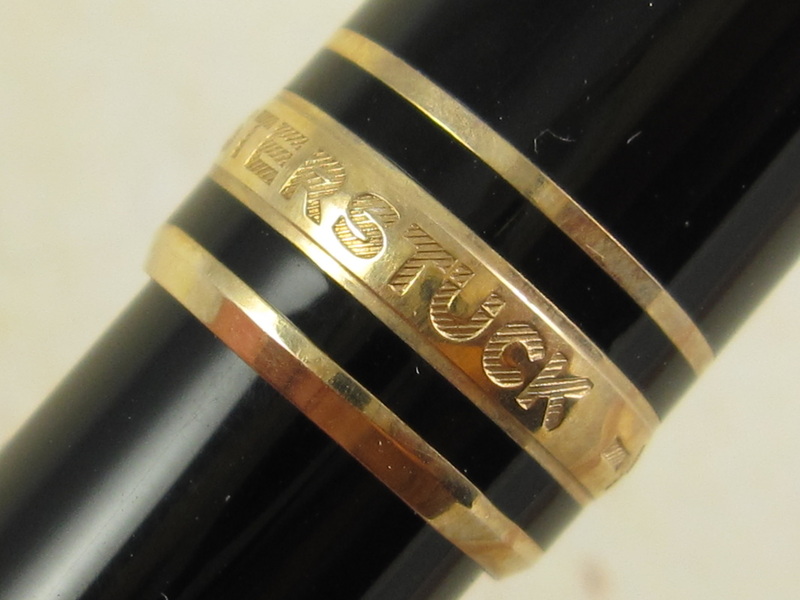 COMMENTS: Montblanc Meisterstuck 144 fountain pen in black resin and gold plated trim. This fountain pen has not never been filled or used. It is in mint condition and it includes the outer box, inner plastic hard-shell box, and papers. Fitted with a dual-tone 14k Montblanc nib that writes a medium line. Cartridge converter filling mechanism. Converter not included. 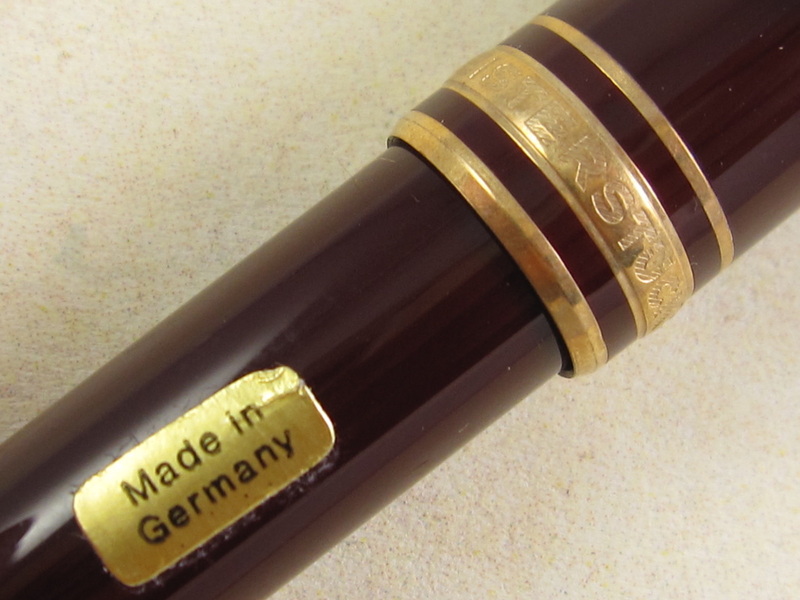 Made in Germany in the 1990s. 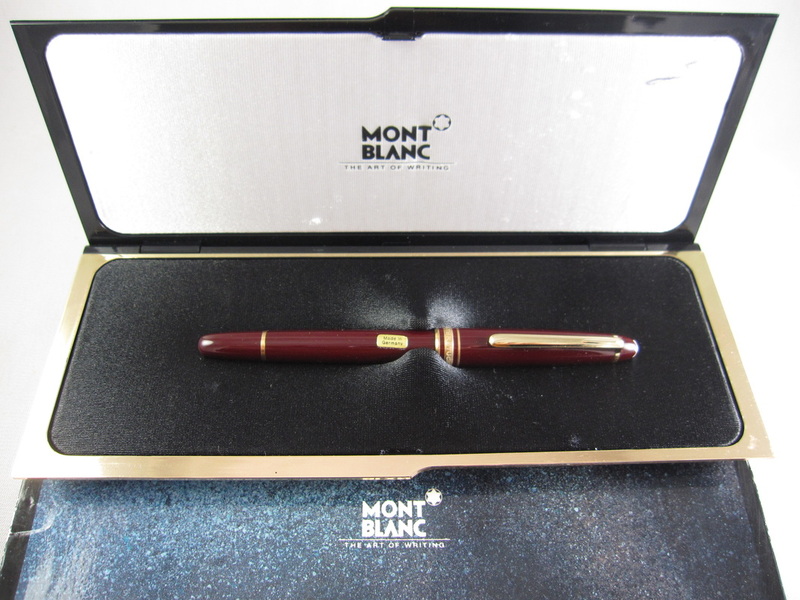 COMMENTS: Montblanc Classic Meisterstuck 163 ball point pen in burgundy resin and gold plated trim. This roller ball pen has not been used. It is in mint condition and it includes the outer box and inner plastic hard-shell box. No papers available. One ball point refill not included. Made in Germany circa 1990. Retail price for one of these pens is approx. $465 back when it was available for sale. 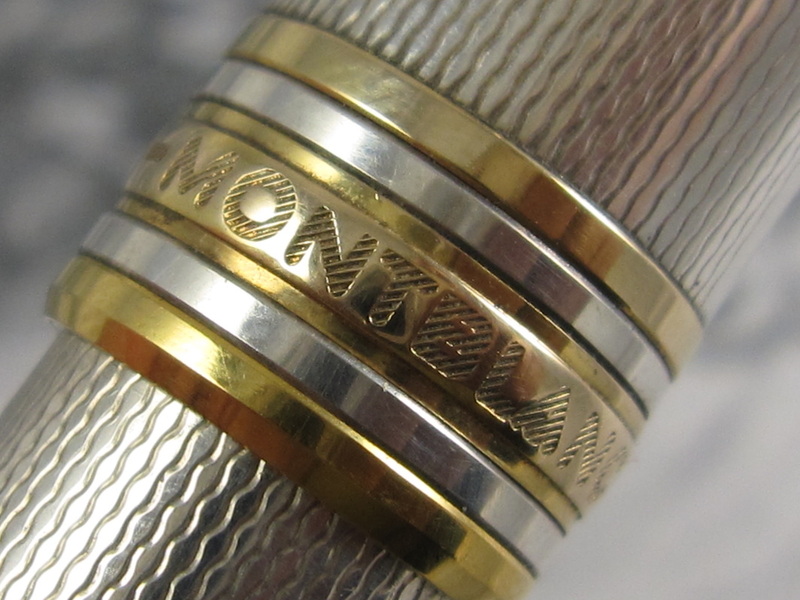 Montblanc no longer manufactures this color. Copyright © 2009 - 2017 Mauricio Aguilar. All Rights Reserved.